This isn't your grandfather's old log cabin. Despite the stereotype, not all log homes have to be built in the woods. No one knows that better than Bryan Reid Sr., founder of Pioneer Log Homes and one of the stars of "Timber Kings." The HGTV Canada reality show follows the company as it custom builds log homes in Williams Lake, B.C., takes them apart, then ships and re-assembles the structures on sites in North America and Europe. 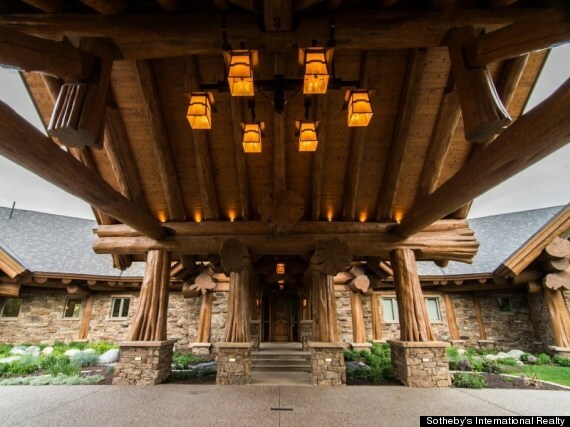 From a cozy cabin in Newfoundland to a jaw-dropping mansion in Colorado (currently listed for US$7.9 million), the "Timber Kings" are natural ambassadors of these earth-friendly homes. Log homes are a good way to lower your carbon footprint because they're made from a renewable resource with low environmental impact, says Reid. 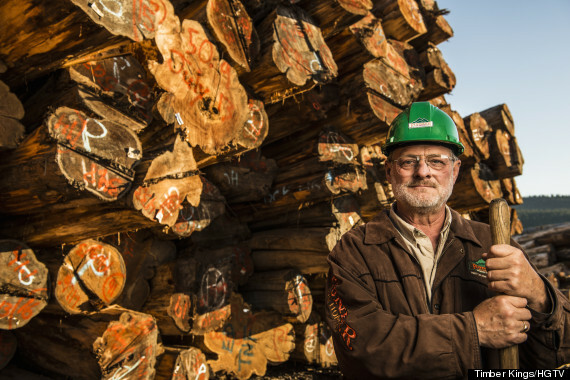 His company recycles wood from dismantled structures, and is also committed to reforestation, planting more than seven million tree seedlings since it was founded in 1973. "The people purchasing our homes generally are those who care about the world around them,” Reid said. Reid has constructed log homes in all kinds of locations, from downtown Kamloops to a ski hill outside Kelowna; one of the projects in the upcoming second season is a 15,000 sq.-ft. home in Langley. Reid never expected to end up on TV when he founded Pioneer Log Homes back in the '70s. He says the new fame is a bit startling, especially since his passion is to create top-quality homes rather than be a celebrity. But he is also proud of his team (which includes son Bryan Jr.) and their accomplishments. "Every one of the Timber Kings are characters and possess what it takes to go the extra mile,” he said. “We all complement each other through economics, creativity, patience, stubbornness, artistic ability, and above all, work ethic."